Random Chat With Spanish Girls! You should have heard about Spanish girls’ beauty. So if you want to find beautiful and hot girls online, you need to have a look at ruletaespanol.com and meet girls for you. There are always a big number of girls waiting to chat with you. There are some disadvantages of this website. One of them is that website language is in Spanish. So if you don’t know Spanish, you will have difficulty because you will not know what buttons tell you. It might be useful to know that “inicio” means “start” in English. 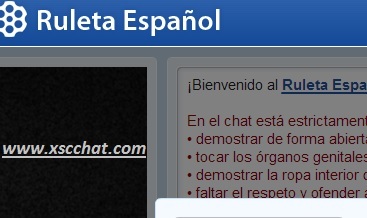 Another disadvantage of ruletaespanol.com is that most of girls inside don’t know any English. So you should practically know hot to chat with a Spanish. You should be careful about site rules because most of Spanish man and woman are seeing it important. If you break a rule, you will soon be reported and banned. And if you want to report someone breaking the rule, you just need to click “Reportar infraccion” on video. Hola amigos. Puedo hablar espan~ol poquito.Pero se ingles.